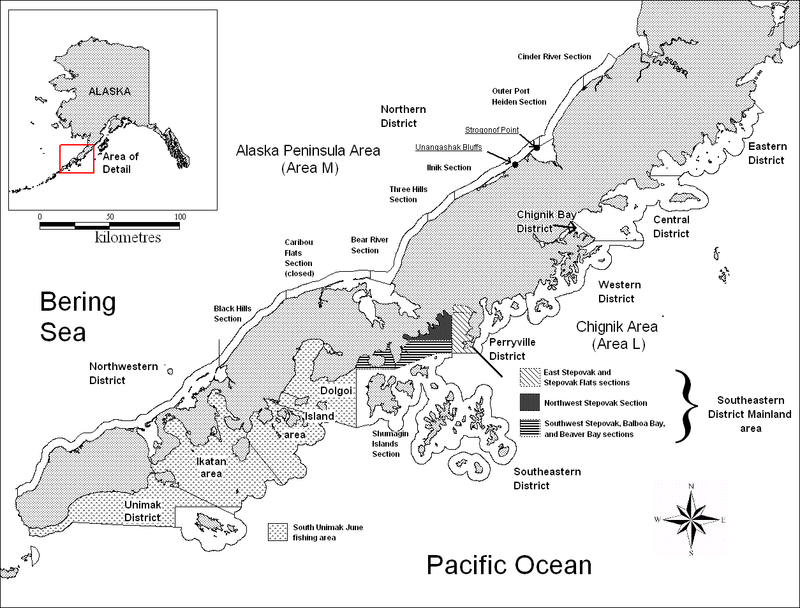 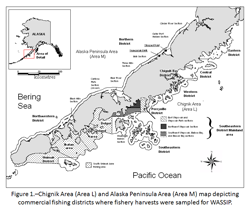 Figure 1.–Chignik Area (Area L) and Alaska Peninsula Area (Area M) map depicting commercial fishing districts where fishery harvests were sampled for WASSIP. 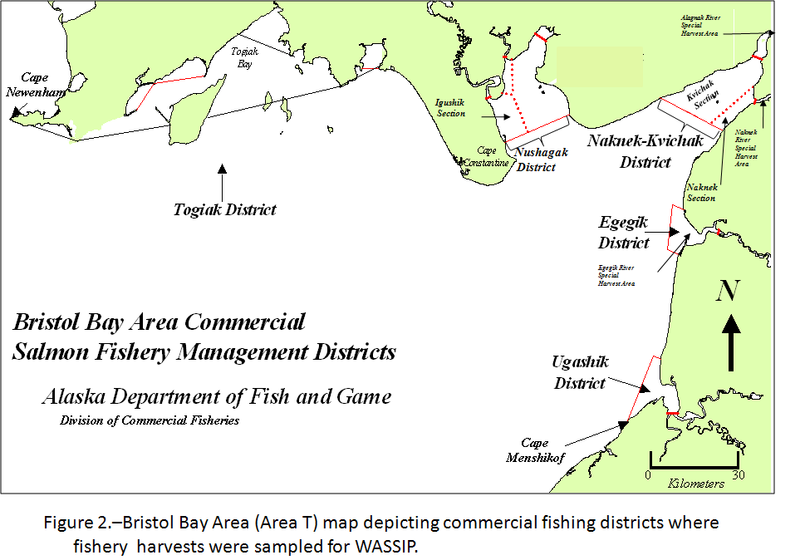 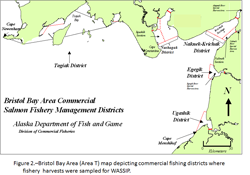 Figure 2.–Bristol Bay Area (Area T) map depicting commercial fishing districts where fishery harvests were sampled for WASSIP. 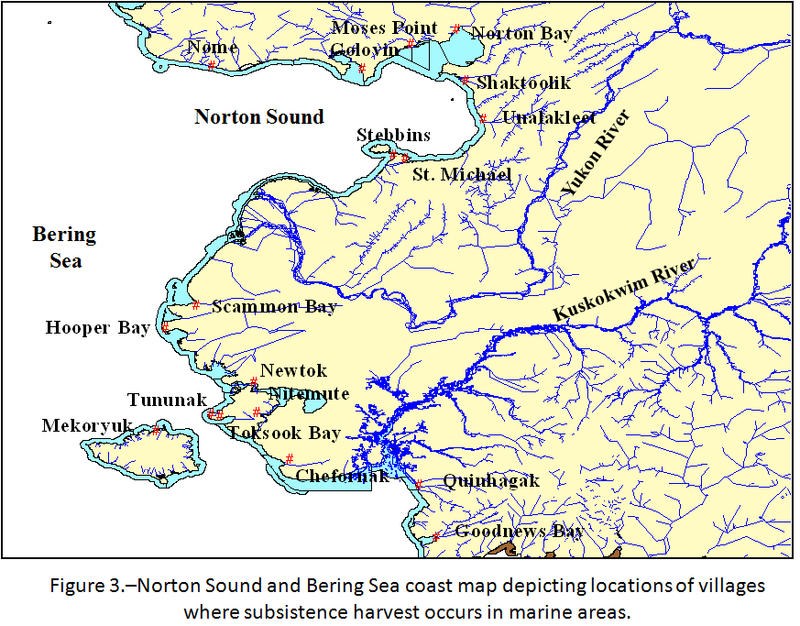 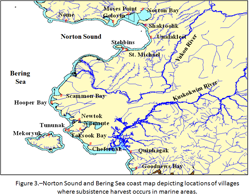 Figure 3.–Norton Sound and Bering Sea coast map depicting locations of villages where subsistence harvest occurs in marine areas. 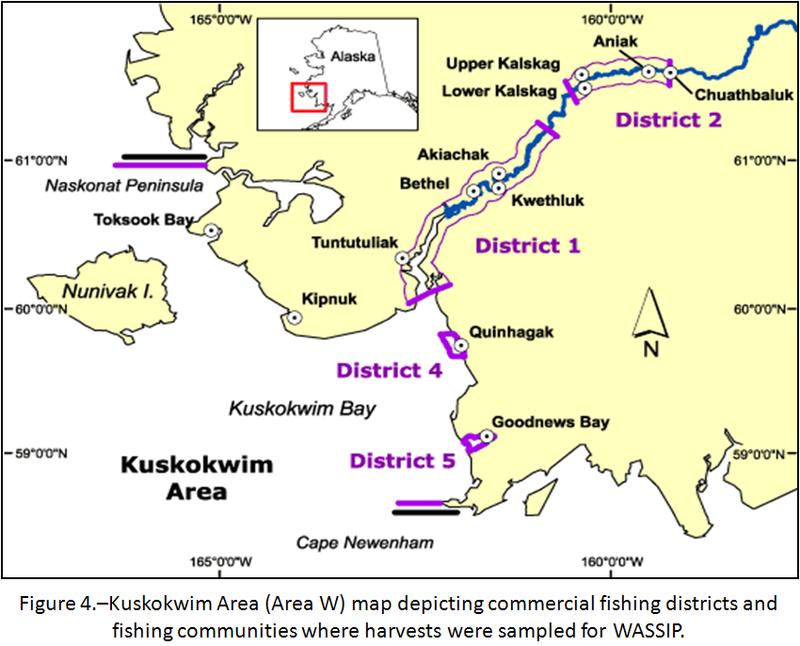 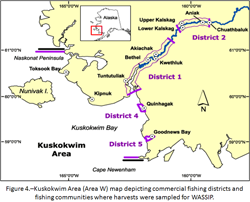 Figure 4.–Kuskokwim Area (Area W) map depicting commercial fishing districts and fishing communities where harvests were sampled for WASSIP. 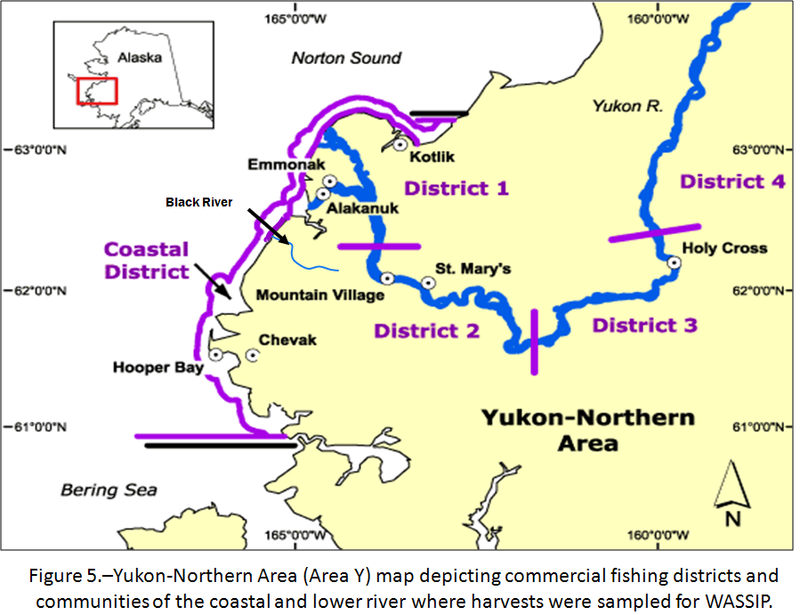 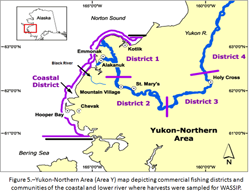 Figure 5.–Yukon-Northern Area (Area Y) map depicting commercial fishing districts and communities of the coastal and lower river where harvests were sampled for WASSIP. 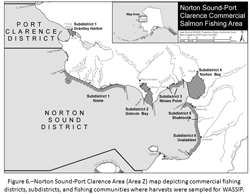 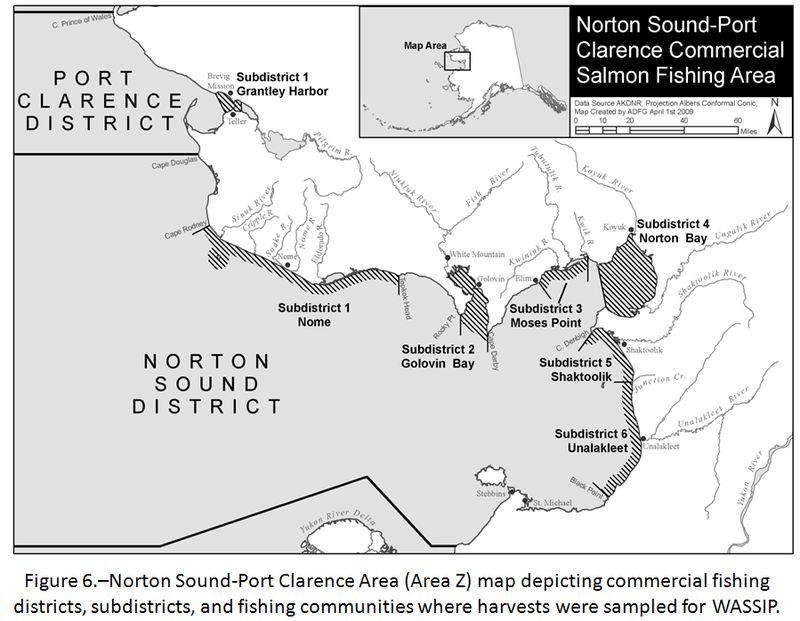 Figure 6.–Norton Sound-Port Clarence Area (Area Z) map depicting commercial fishing districts, subdistricts, and fishing communities where harvests were sampled for WASSIP. 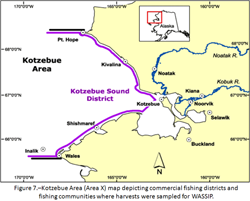 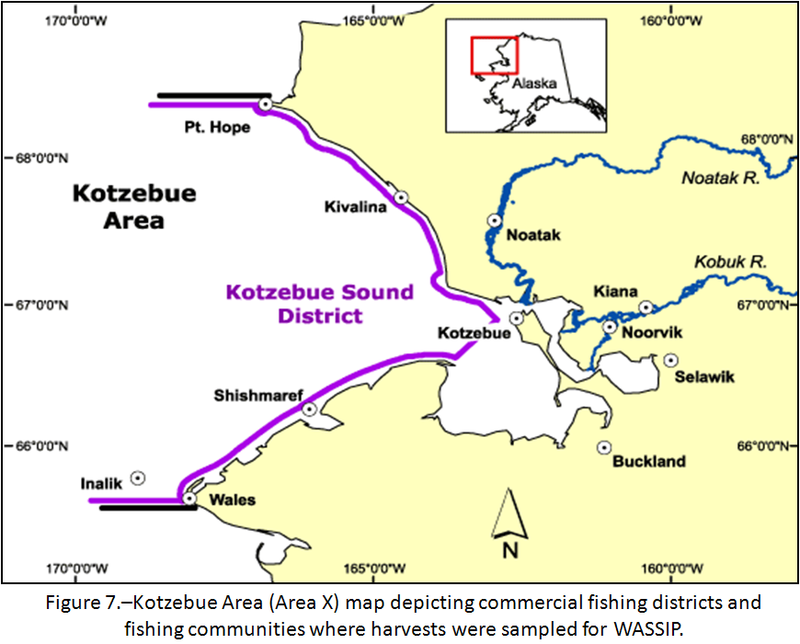 Figure 7.–Kotzebue Area (Area X) map depicting commercial fishing districts and fishing communities where harvests were sampled for WASSIP.